In an age where most veterinarians wear white lab coats all day, the doctors at Troy & Wentzville Veterinary Clinics always enjoy putting on their coveralls for farm calls. We love the work we do with companion animals, but being able to offer high quality veterinary services to our farming friends and neighbors is a true pleasure. By offering these services we are not only helping support an industry and lifestyle we highly respect, but living up to our desire to serve all animals and be a complete veterinary practice. The following is a sampling of the services we offer to our clients with beef cattle and horses. For more information on additional services as well as how we can help increase the productivity of your livestock, please give us a call today. For farms with small to large herds of beef cattle we understand that it is important that they work with a large-animal veterinarian with the flexibility to perform a range of services onsite. The Troy & Wentzville Veterinary Clinics are pleased to offer high quality large animal farm-call services. Our large animal practitioners are well versed in providing a number of preventative, medical and surgical services on a farm-call basis and are well equipped to do so. Additionally, performing farm calls provides us with the opportunity to observe farm conditions and offer advice to help the farm owner and livestock perform at top levels of production. Farm Calls – We will perform individual animal and herd examinations as well as review conditions on the farm to help the farmer maximize production and decrease likelihood of disease and injuries. 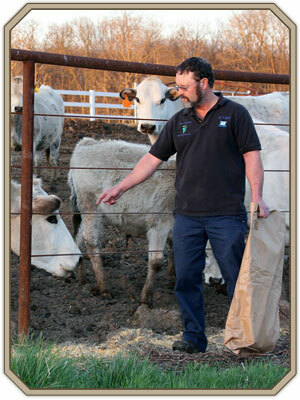 Vaccines – We are well-versed in large animal vaccines that promote individual animal and herd health. Illness Prevention – Though Lincoln and St. Charles counties do not see elevated levels of disease, there are a number of contagious diseases prevalent in our area. We are fully adept at offering preventative care as well as treating these diseases should they occur. Vaccines: Troy and Wentzville, Missouri, are wonderful places to live, farm and raise horses. However, we are not immune from a number of dangerous diseases that can be devastating to horses. These diseases are also highly infectious by nature and could pose a very real risk to the health of individual animals as well as herds. However, there are a number of vaccines that have proved to be very effective at preventing many equine diseases. The Troy & Wentzville Veterinary Clinics are well versed in the nature and application of these vaccines and has developed an equine vaccination protocol designed to meet the needs of foals, mature animals and equines in their senior years. 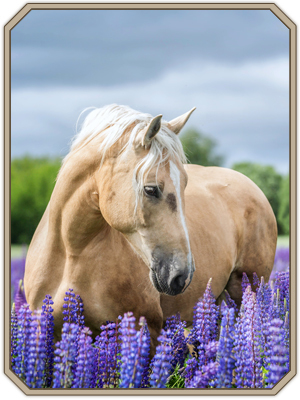 Diagnosis and Treatment of Medical Conditions: Though we prefer to prevent illness as much as we possibly can, there simply is no guarantee that a well-cared for equine will never face a periodic illness or injury. The Troy and Wentzville Veterinary Clinics are experienced and able to diagnose and treat a wide range of medical conditions. Equine Dentistry: Horses and related equines often require some dentistry in order to keep their teeth and gums healthy, which in turn go a long way toward ensuring they are able to eat properly and maintain good nutritional health. The Troy & Wentzville Veterinary Clinics are able to perform a range of dental services on equines, which includes teeth floating, extractions and balance work on incisors and molars. Not only will these services prevent painful and uncomfortable tooth and oral conditions from developing, but they are important to ensuring your horse is able to properly chew and digest his or her food. The Troy & Wentzville Veterinary Clinics are able to offer guidance on breeding and maintaining the health of the mare or dam during pregnancy and delivery. We also offer reproductive ultrasounds during important stages of pregnancy as well as artificial insemination to ensure the best chance of conception. Equine Surgical Services: As with the medical care we provide equines, we would much prefer to do all that we can to help prevent the need for surgery. To this end, we will offer advice on how to properly keep horses as well as observe conditions where horses and equines are kept and offer suggestions to ensure their health and safety. However, there are times when surgery is in the best interest of your equine. The veterinarians at the Troy & Wentzville Veterinary Clinics are experienced in a wide range of equine surgeries.